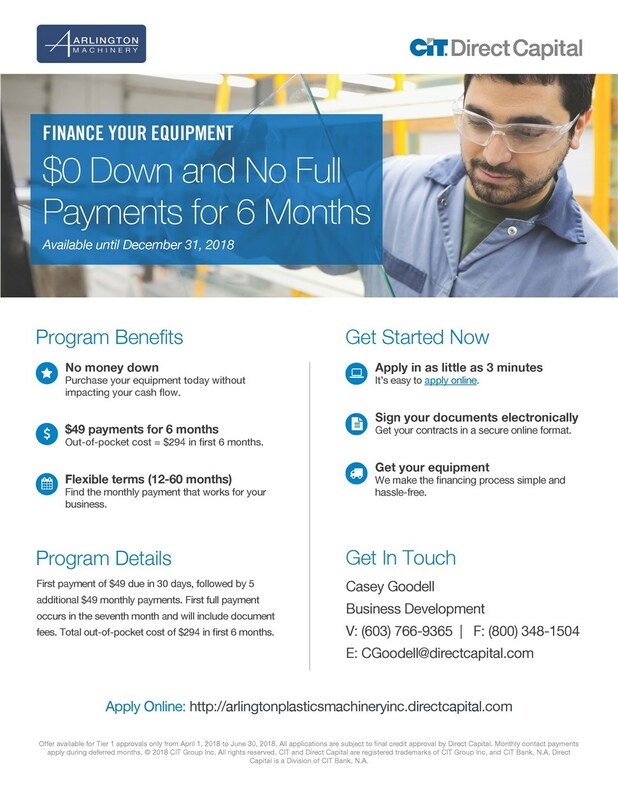 Finance your equipment for $0 Down and No Full Payments for 6 Months Available now through December 31, 2018. Available now through December 31, 2018. First payment of $49 due in 30 dys, followed by 5 additioanl $49 monthly payments. First full payment occurs int he seventh monty and will include document fees. Total out of pocket cost of $294 in the first 6 months.